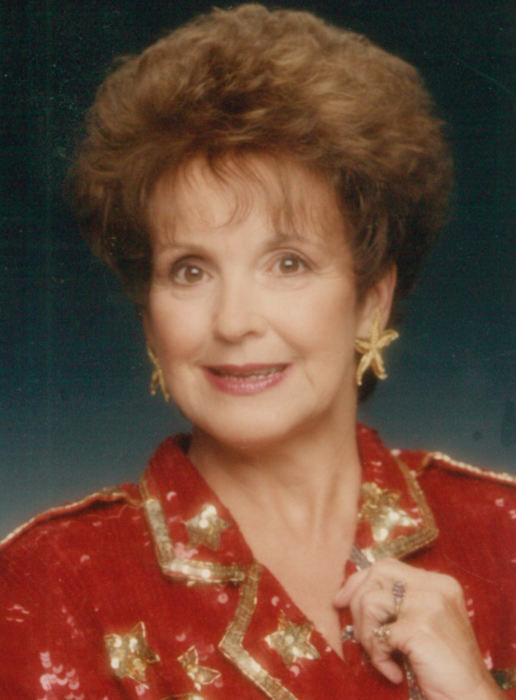 Candler – Anita Louise Herndon Eller, age79, passed away on Tuesday, April 2, 2019 at CarePartners Hospice Solace Center in Asheville. She was a native of Haywood County and the daughter of the late Eramus Duncan Herndon, Jr. and Annie Louise Hutchinson Herndon. In addition to her parents, she was preceded in death by her beloved daughter, Melody Louise Carpenter who passed away in 1987. Anita retired from Champion International as a payroll clerk after 25 years of service and worked as a greeter at Wells Funeral Homes. Anita loved her family and was a good and caring wife, mother, and grandmother. She especially enjoyed music, flowers and always had a big smile. She was a member of the Red Hats Society, Canton Senior Center and Ridgeway Baptist Church. Anita is survived by her husband of 18 years, James “Jim” Eller of Candler; a son, Grant Carpenter of Canton; a brother, Phillip Herndon of Canton; a granddaughter, Melody Sloan Carpenter of Leicester; and a special sister, Sue Sylva. Funeral services will be held at 12:00 noon on Thursday, April 4, 2019 in the Canton Chapel of Wells Funeral Home with the Reverend Jack W. Collins officiating. Burial will follow at Sunny Point Baptist Cemetery. The family will receive friends from 10:00 until 11:45 a.m. prior to the service at the funeral home.